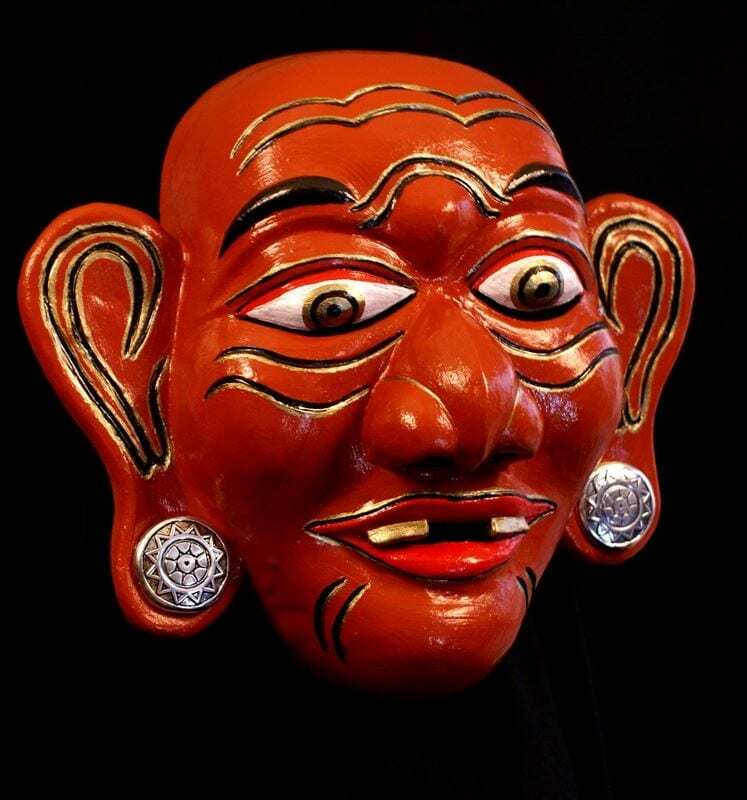 The Merdah mask is representative of this mask from the Balinese Topeng Dance Theatre. Merdah is the honest servant of Rama and acts as a sort of narrator translating the plays action to the audience. He tends to be an Arlechino type character in that he is quick on his feet fast in his actions. Merdah was born without a mother from his fathers energy alone. He is in constant search for a girl friend. The Topeng dance is older than the arrival of Hinduism in Bali. It was and continues to be a masked dance that celebrates mans relatioinship to the natural world and one that celebrates ones ancestors. The Topeng we know today was developed in the 15th century about 100 year prior to emergence of the Commedia dell’Arte. The dancers were seen to be interpreters of the gods. It is a dance that celebrates the scared and the profane, ugliness, beauty, the refined qualities of humanity and the caricature we have become. 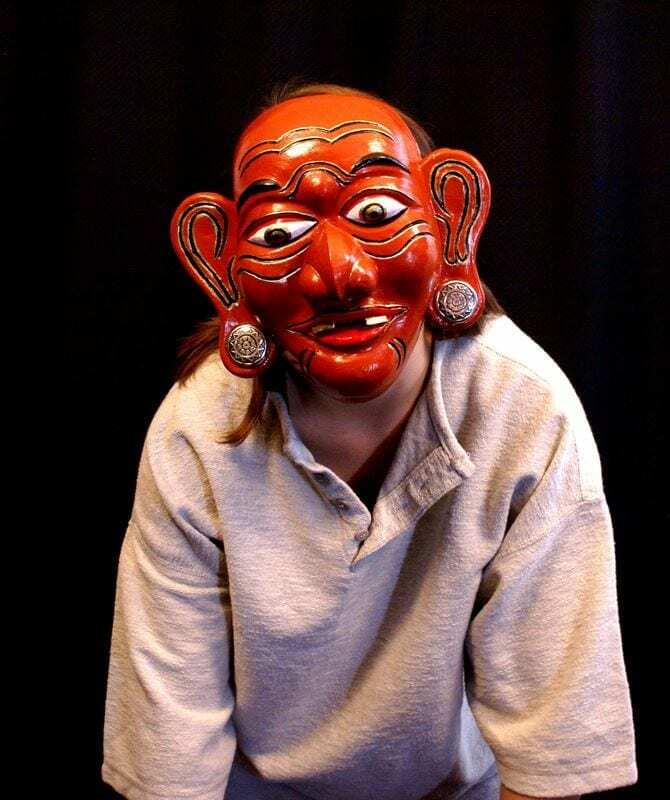 This was mask created for a course that asked students to devise theatre through and understanding through research of masks from various world cultures. The course was taught for 8 years on the university level and has now developed into intensive workshops offered at The North American Laboratory for the Performing Arts.